“ack, ack, ack, ack”….. Martians are attacking again!! 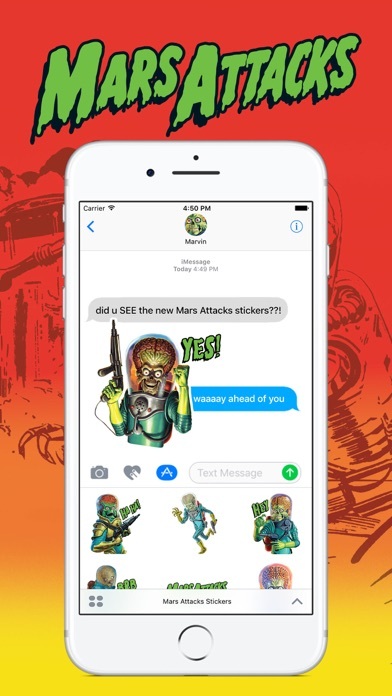 But this time they are invading all of planet Earth’s iOS devices with new Mars Attacks™ Stickers for iMessage. The Ambassador of Mars announces that they “come in peace” but watch out, these insane and destructive stickers are sure to raise war and conquer your iMessage chats. This explosive pack of stickers is scarcely funny and brings a new animated twist to the iconic franchise! 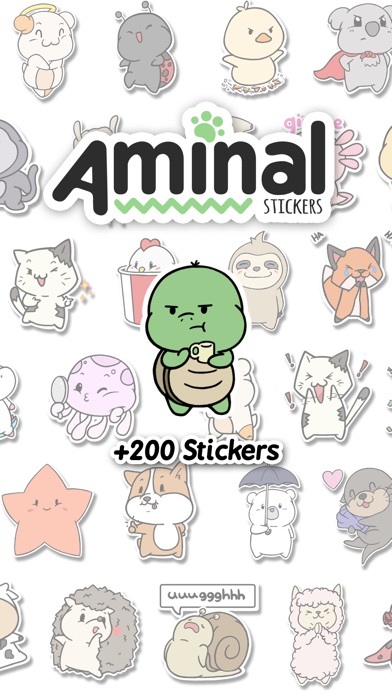 Get revenge on your best friends by sending them these ravaging and savage stickers. 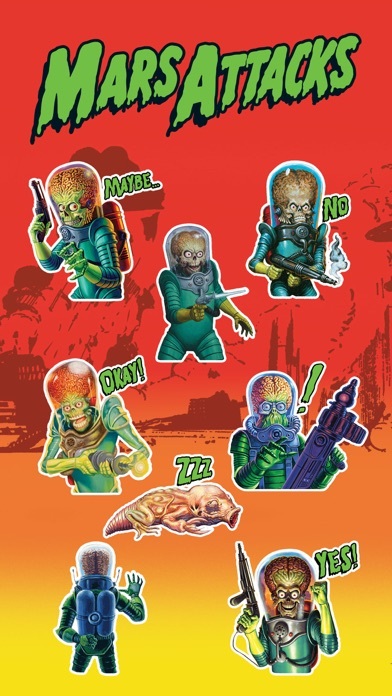 In this pack of 15 stickers, Martians are seen animated while shooting rays, giggling, waving and getting ready for attack. 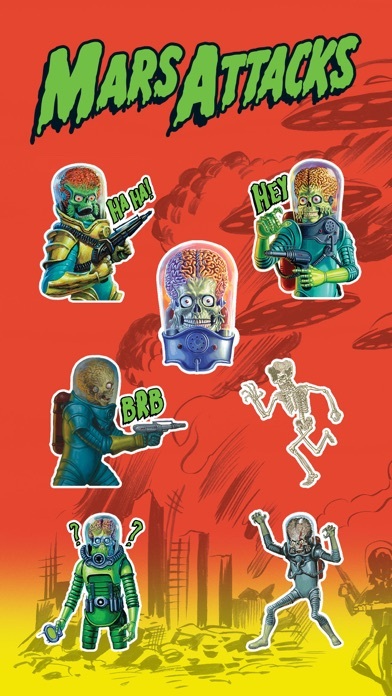 Download the app today and invade your friend's iOS devices with Mars Attacks™ Stickers from Topps®! 1. Open up a new iMessage. 2. Tap the App Store® icon next to the chat field. 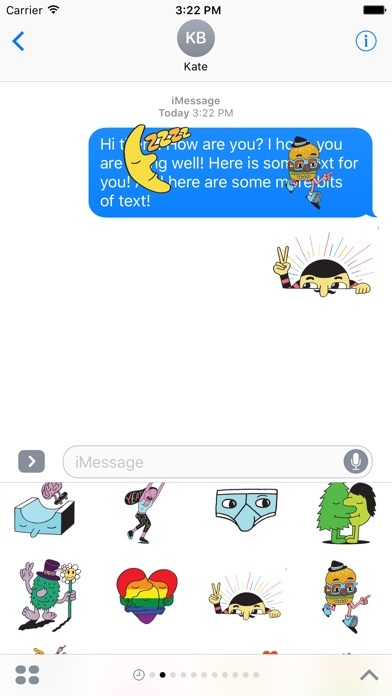 You’ll now see your most recently used stickers. 3. 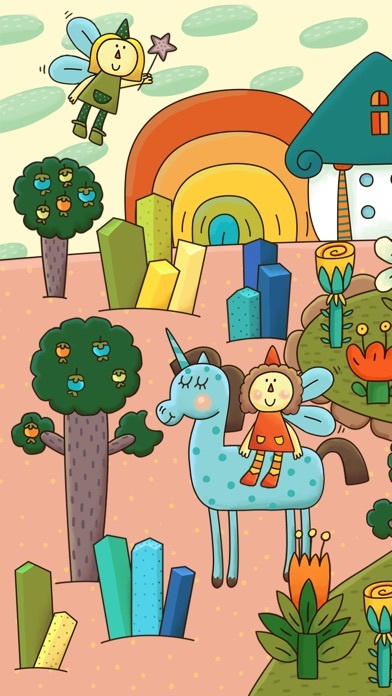 To find your new stickers, tap the 4-ovals icon on the bottom left.